Tales of Furia iPhone Game Review: Help Prince Furry! Tales of Furia is an iPhone game developed by Realm Masters. 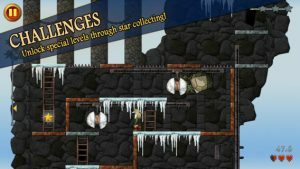 In this fun platformer, you need to help Prince Furry save his beloved and stop the Dark Lord Furious! 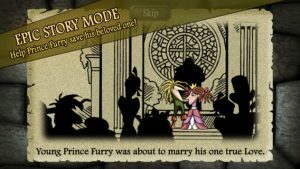 When a dark lord breaks up Prince Furry’s wedding day and steals his betrothed, it’s up to you to help Prince Furry restore balance to the kingdom. Can we talk about how great these controls are? Tilt to move. Tap to jump. The end. The controls are simple, intuitive, and (most importantly) very responsive. There are D-Pad controls for both left and right orientations if you prefer. 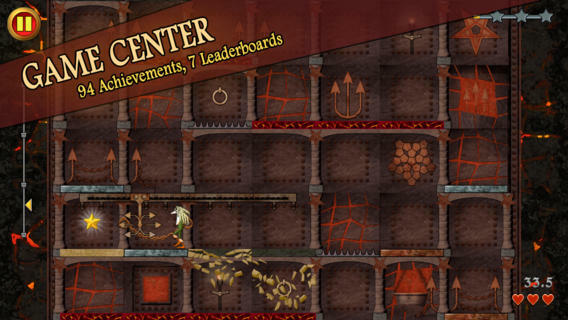 The gameplay allows gamers of different persuasions to enjoy the levels equally. 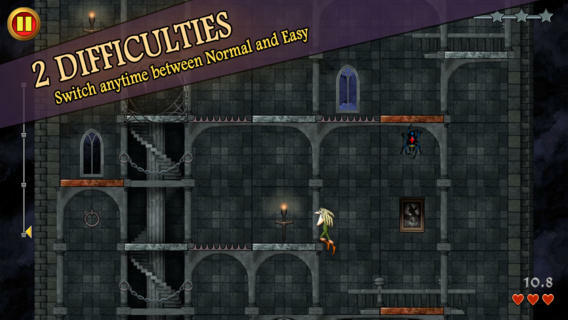 If you’re all about time attacks, you can try to blast through the level at max speed. If you are a completionist, you can try and get all the stars. And if you like to play games to unwind (and not get wound up), then you can take your time. I like the graphics a lot here, but my absolute favorite part of playing Tales of Furia was listening to the soundtrack. 6 awesome tracks by Rams le Prince comprise the background music, and they’re just perfect. They stand up to classic RPG and platformer music from some of my favorite games of all time. This game is free to download. However, if you want to play all of the levels and go ad-free, you need to make an in-app purchase of $1.99. It’s a small price to pay for a game you enjoy. So let’s recap this game by the numbers. In this free game, you get 5 chapters with 25 levels, 2 difficulty settings, 94 Game Center Achievements, and 7 Leaderboards. It’s a ton of content, and that makes this game have a ton of replay value. Want to see more? Check out this cool launch trailer on YouTube! 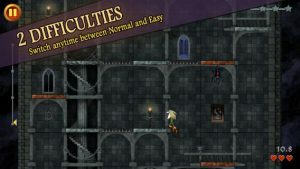 Tales of Furiarequires iOS 5.0 or later. Compatible with iPhone, iPad, and iPod touch. This app is optimized for iPhone 5.